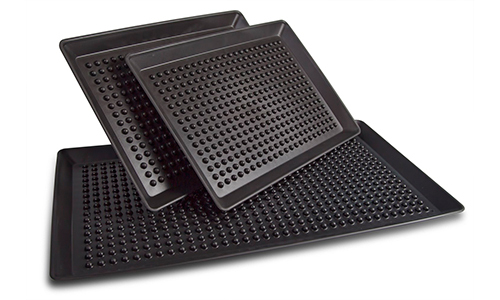 Pizza Servers | Pizza Pleezers | Plastic Pizza Trays - HS Inc.
Good for any crust thickness. Virtually unbreakable, and keeps pizzas high and dry! Unlike wood servers, condensation and grease are trapped in the Pizza Pleezer's valleys, away from your pizza. The special plastic used will not dent, transfer heat or burn you like conventional metal pans. 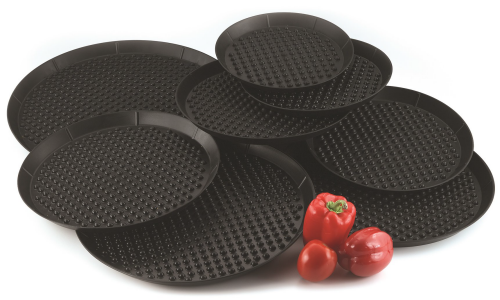 Our famous Pizza Pleezer™ is now available to keep your flatbread pizzas high and dry. Pizzas take up table space, free up that space by using our Pizza Tower! Now there is room for everything! 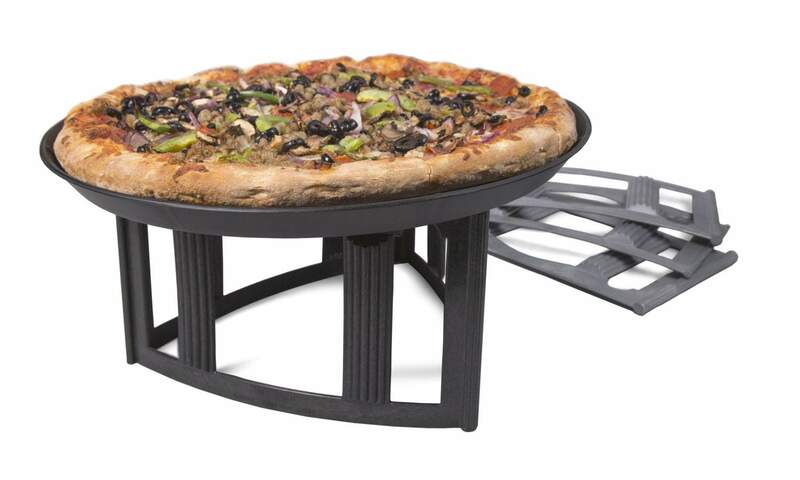 The Tower of Pizza folds flat for easy storage and will accommodate large pizzas, works perfectly with our Pizza Pleezers™ , too! Copyright © 2019 HS, Inc.